UNLIMITED access, train when you are comfortable. This course is not so easy. 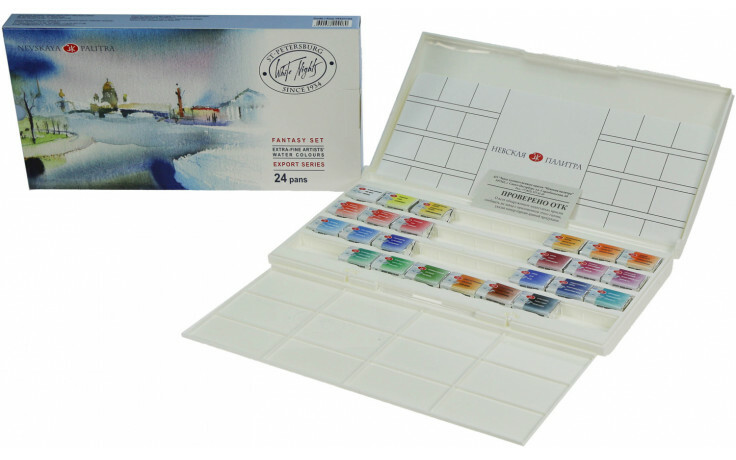 Experience in working with watercolor is desirable. 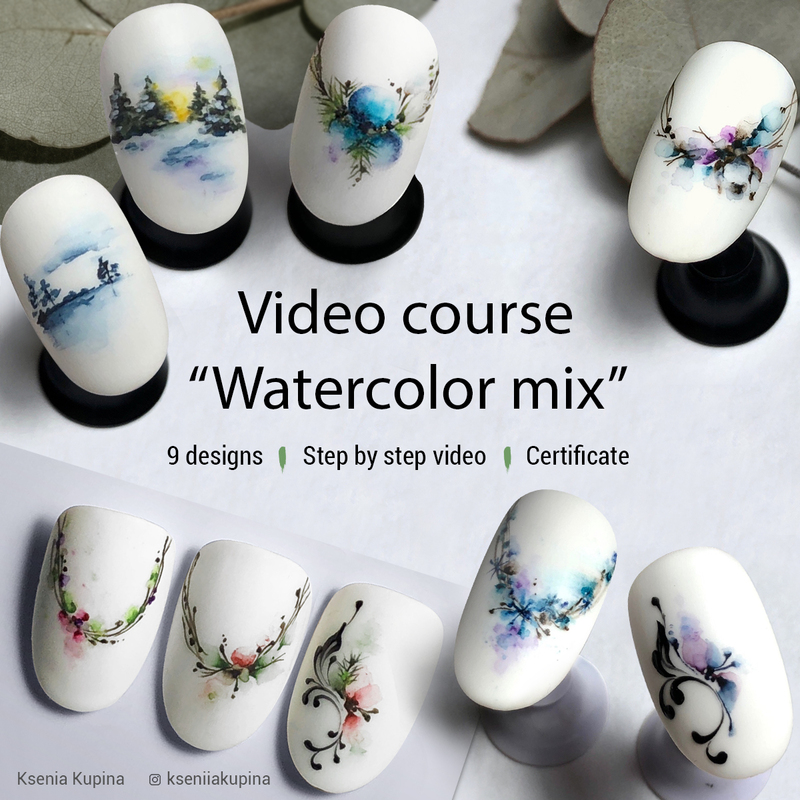 If you doubt, it is better to start with the course Nail-watercolor 3.0, it is for beginners. After payment, I will send you e-mail with PDF file, which contains all reference materials, photos and links to videos on YouTube. Text in pdf in English. In the video in the subtitles, you can choose your language. Language selection is available only on the computer. On the phone it is not displayed. 9 designs in various techniques. Video for each design with my detailed comments in Russian and subtitles. You can choose your subtitle language. 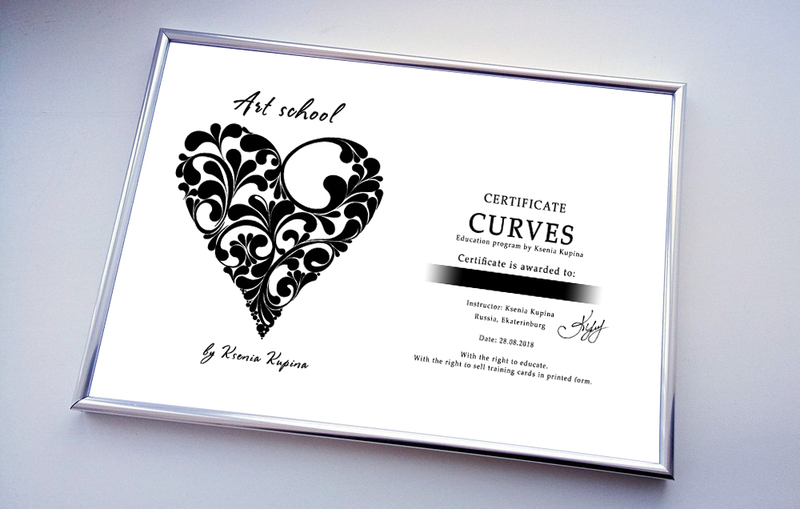 To obtain a certificate, you must send me an e-mail 9 designs on tips. Photos must be in good quality with good lighting. 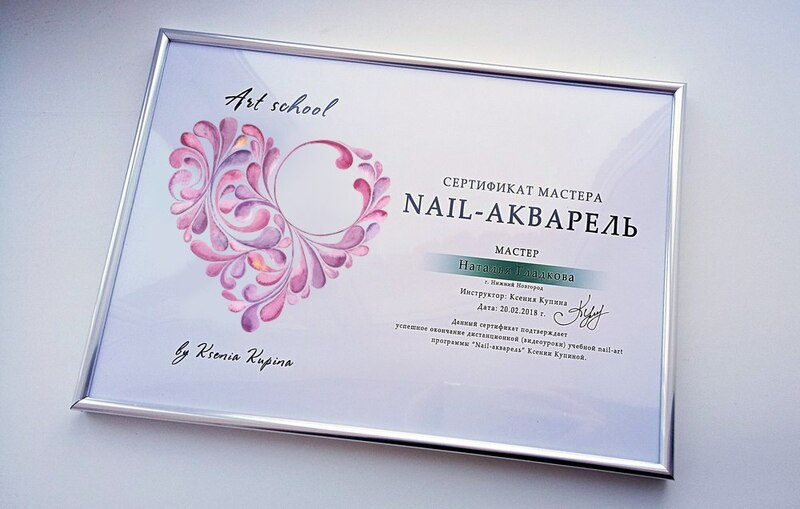 After working out you receive a certificate in electronic form, in JPG format, by e-mail.
! Paints in tubes do not need to buy. Only cuvettes. 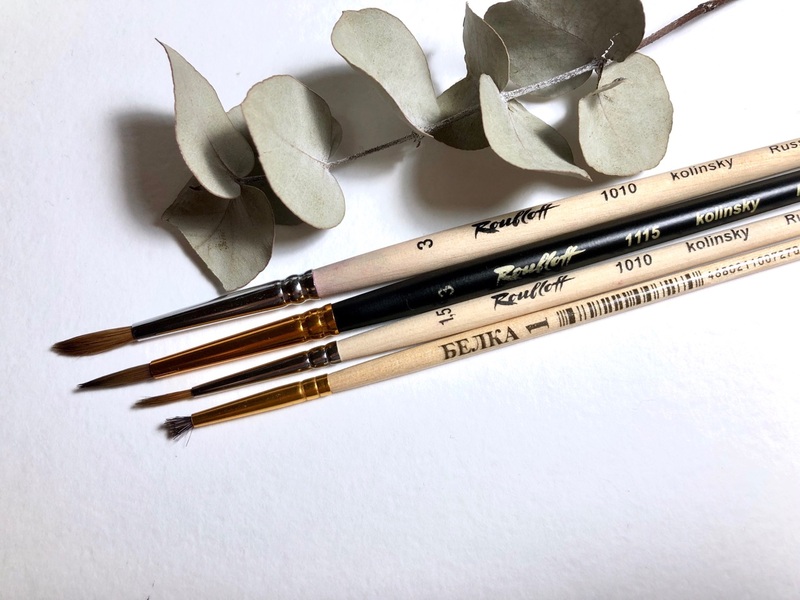 The exact list of brushes for work is above the photo. Write to me what you want to buy and I’ll write how to pay at paypal.com.